PHOENIX – Three people died every day on average on Arizona roads in 2017, and 152 people were injured, according to the Department of Transportation’s annual report on motor-vehicle crashes. Nearly three-quarters of accidents occurred from 6 a.m. to 6 p.m. The report, released Tuesday, draws a detailed picture of such things as how often crashes occur, which days are crashes most likely and what the road, lighting and weather conditions were when the crash occurred. 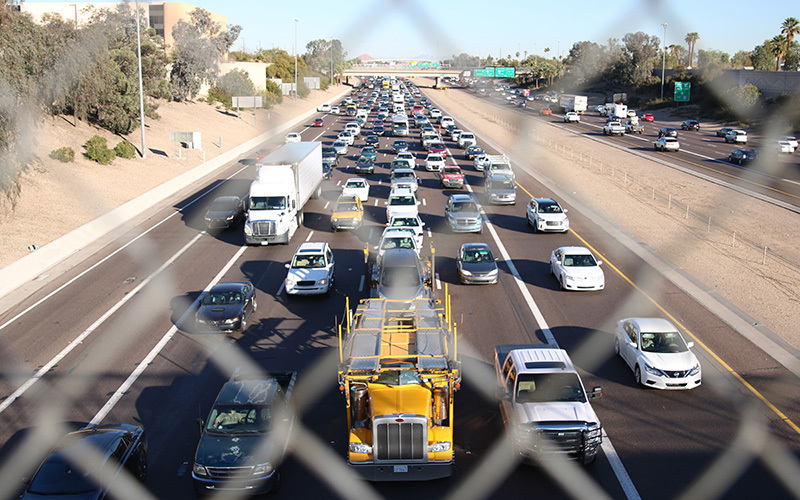 ADOT estimates that vehicle crashes result in $10.8 billion in economic losses. One thousand people died in 919 fatal accidents last year, 286 of which involved alcohol, the report said. That compares with 856 fatal accidents in 2016, 267 of which involved alcohol. Of the 4,854 crashes related to alcohol use in 2017, 79 percent occurred in urban areas, according to the report. The 127,064 crashes recorded last year were a slight increase from the 127,039 in 2016 but 10,240 more than the 116,824 in 2015. Crashes have increased 16 percent from 2010 through ’17. March and October have the most accidents, the report said, and Fridays are when most crashes occur. The most dangerous hours any day are from 3 to 5 p.m.
ADOT officials blame most accidents on driver behavior, particularly distracted driving and drunken driving. The ADOT Traffic Operations Center in Phoenix is staffed round the clock to monitor traffic speed, weather and road conditions, including highway debris that present safety hazards. 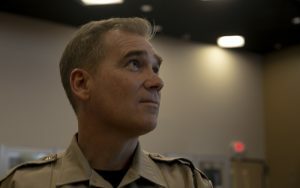 Officer Robb Brown, who works at the center, has seen plenty of distracted drivers in his years with DPS. The best way to avoid collisions, he said, is simply to pay attention to the road. People often consider their vehicles second homes, Brown said. They feel comfortable enough to listen to music or talk on the phone that they end up not paying attention to what’s ahead of them. 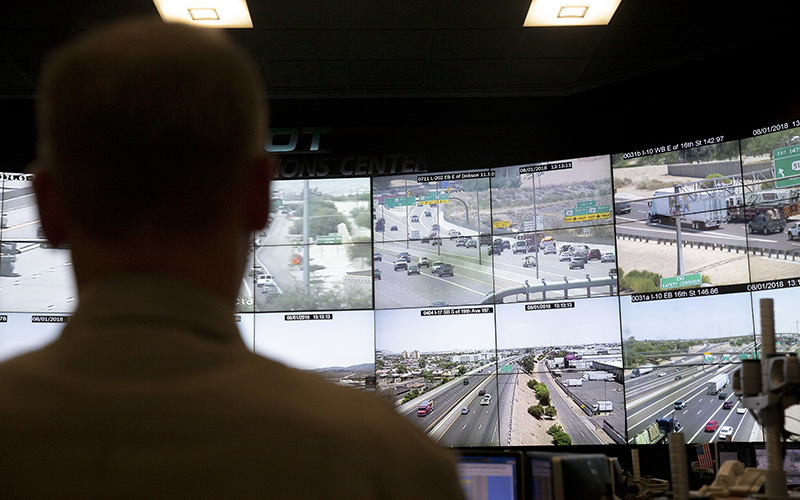 The traffic center monitors about 300 surveillance cameras in Phoenix and elsewhere across the state, allowing personnel to provide quick services to the public. “Often times when people are involved in horrific instances … the information they provide 911 isn’t always accurate,” Brown said, adding that the cameras make it easier to pinpoint exactly where incidents are, helping officials notify first-responders immediately.